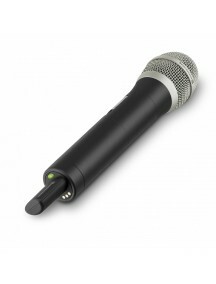 TG100 FEATURES: Pilot Tone Function The pilot tone prevents noise and assures user-friendly handling. 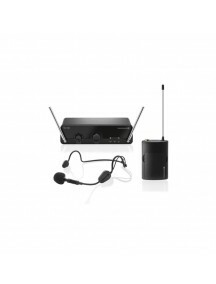 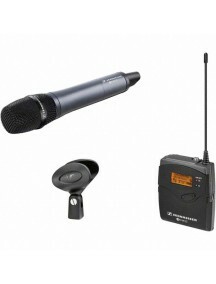 The TG100 wireless system uses the pilot tone to identify a correct signal for improved interference-free transmission and to transmit a low battery warning as well as the audio mute information to the receiver. 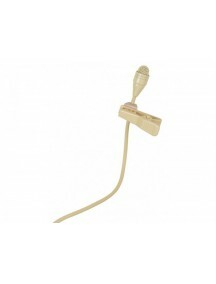 Sound SwitchThe integrated sound switch equally improves the clarity of..
Handheld transmitter TG 500 series with dynamic TG V50 capsuleThe handheld transmitters from the new TG 500 series provide firm grip, sit perfectly balanced in the hand and also have an outstandingly pleasant touch and feel. 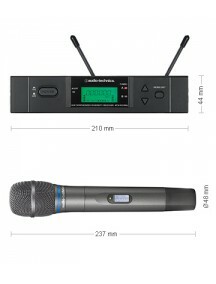 The transmission power can be switched between 10 mW and 50 mW. 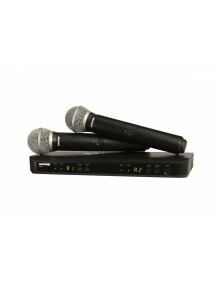 Handheld impress in practical situations with it light weight (230 g). 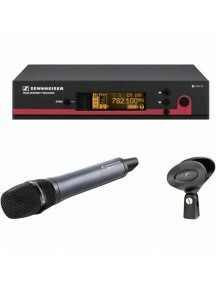 Settings are simple to configu.. 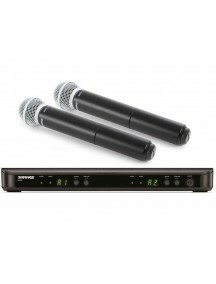 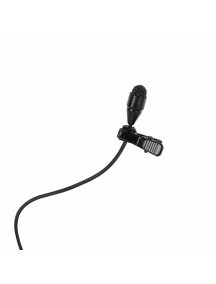 The TG L58 clip-on microphone is the first choice for television and film, aswell as for presentations and theatre applications.The omnidirectional polar pattern of this acoustically balanced lavalier microphone allows a lot of flexibility in positioning – the TG L58 can be worn on a lapel, and it can also be disguised on the face with makeup. 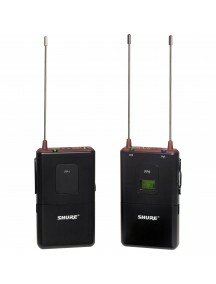 It is also water and sweat-proof, and is excee..
FeaturesSturdy metal housing (transmitter and receiver42 MHz bandwidth: 1680 tunable UHF frequencies for interference-free receptionEnhanced frequency bank system with up to 12 compatible frequenciesHigh-quality true diversity receptionPilot tone squelch for eliminating RF interference when transmitter is turned offAutomatic frequency scan feature searches for available frequenciesEnhanced AF freq..
FeaturesSturdy metal housing (transmitter and receiver)42 MHz bandwidth: 1680 tunable UHF frequencies for interference-free receptionEnhanced frequency bank system with up to 12 compatible frequenciesAdaptive-diversity reception for high reception qualityPilot tone squelch for eliminating RF interference when transmitter is turned offAutomatic frequency scan feature searches for available frequenc..
BLX Wireless Systems - PremiumPrecision built and available in a variety of handheld, lavalier, instrument and headset configurations, BLX is the most accessible way to own the stage. 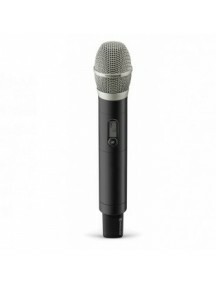 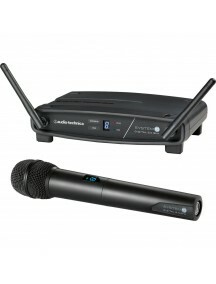 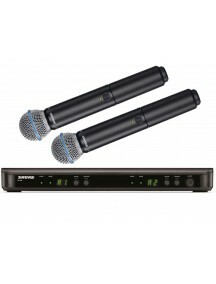 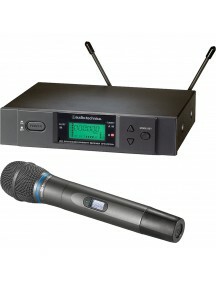 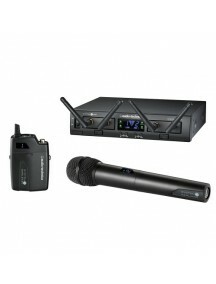 BLX Premium features single and dual systems with SM and Beta microphone heads.BLX2 Handheld Transmitter:- Integrated microphone capsule Beta 58A®-10 dB gain attenuation- Lightweight, rugged constructionBLX88 Dual Ch..
1 Year Distributor WarrantyBLX Dual Channel SystemsThe BLX Vocal Combo Wireless System from Shure joins world-class design and construction with simple and easy setup and operation, featuring dual wireless channels, QuickScan frequencyselection and PG58 professional quality vocal microphone capsules for lead and backup vocal performance applications. 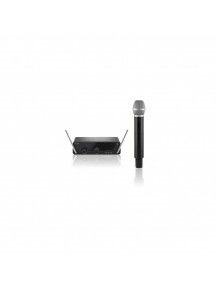 Legendary sound and performance, right out..
BLX Wireless Systems - PremiumPrecision built and available in a variety of handheld, lavalier, instrument and headset configurations, BLX is the most accessible way to own the stage. 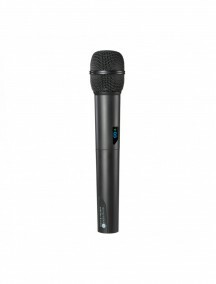 BLX Premium features single and dual systems with SM and Beta microphone heads.BLX2 Handheld Transmitter:- Integrated microphone capsule SM58®-10 dB gain attenuation- Lightweight, rugged constructionBLX88 Dual Channe..